When it’s fall in Tennessee, there’s no better activity than heading out for a refreshing hike in the woods. So I didn’t think twice when Samantha and Sue suggested we do their afternoon engagement photos at Percy Warner Park! Combining two of my passions–enjoying fall foliage and photographing couples in love–made for a perfect Sunday in my book! 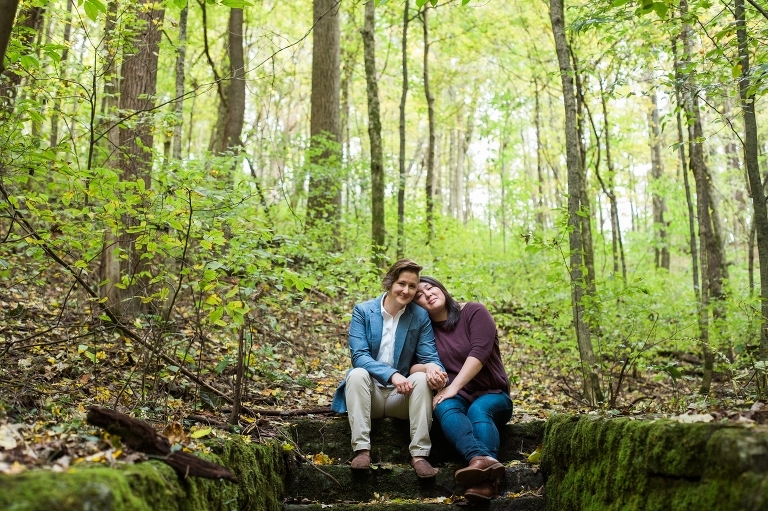 Samantha and Sue’s easygoing nature made this autumn engagement hike even more enjoyable. Honestly, you won’t find a more polite, considerate individual than Samantha, whose well-bred southern manners were apparent at every turn. She even kindly offered to carry my gear at one point! (I declined, of course!) Along our walk, I observed that Sue’s quiet, thoughtful manner (and dry wit) is the perfect complement to Sam’s inquisitive, outgoing personality. I thoroughly enjoyed our afternoon, which consisted of hiking up and down running trails and exploring new landscapes at every turn. By the of this crisp autumn walk, it already felt like we were old friends, which is always what I hope for! Samantha and Sue are passionate about many causes, one of them being the empowerment and care of women in need. This is why they chose The Cafe at Thistle Farms as their May 2019 wedding venue. Thistle Farms The Café is part of Thistle Farms’ social enterprise, which heals, empowers, and employs women. It specifically assists survivors of trafficking, prostitution, and addiction. 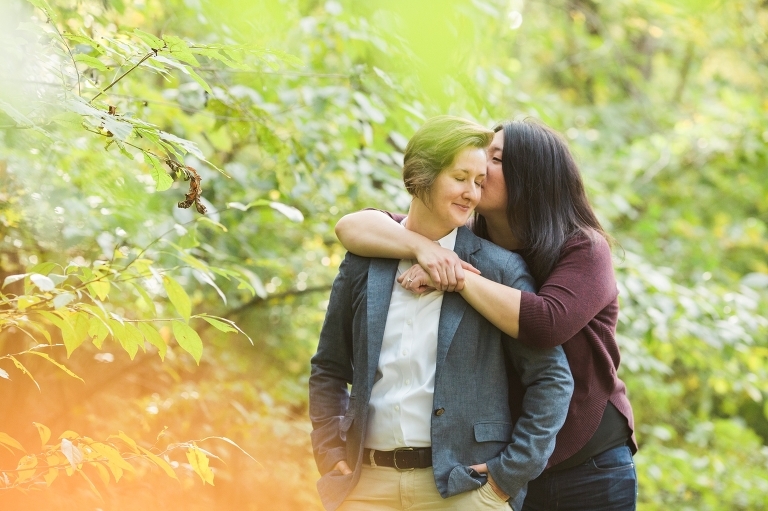 Thistle Farms’ philosophy, “Love Heals Every Body,” resonated so deeply with Samantha and Sue that they knew it would be the perfect backdrop for their union as a couple. And, as an added bonus, Thistle Farms’ wholesome menu and food are to die for! I already cannot wait for their beautiful day next spring!